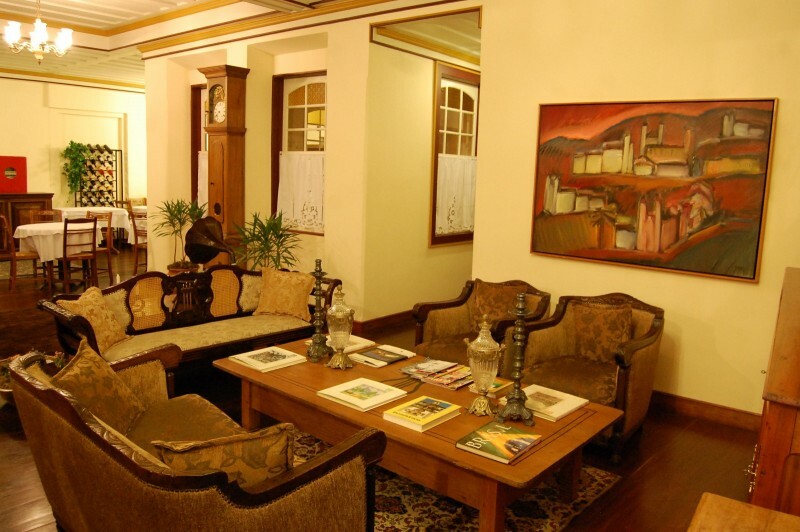 It began operations five years after a big house restoration in the typical chalet style, on April 19, 2009, receiving the French mission that came to Ouro Preto for the pre-launch of the "Year of France in Brazil" held on the Tiradentes, April 21. At first eight units are only available in the big house. In the second phase, alongside, using the same access, will be built twenty-two other apartments, including one for guests who require special care. 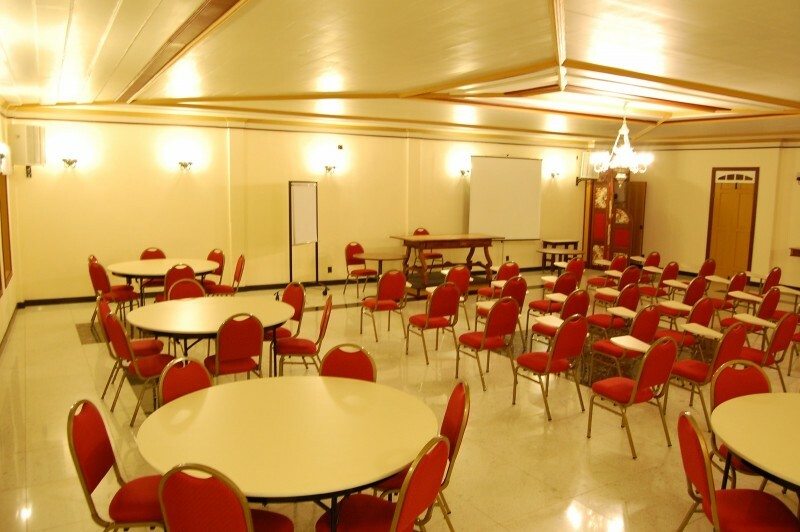 The location is one of the strengths of the Hotel Teatro, check the appropriate flag. 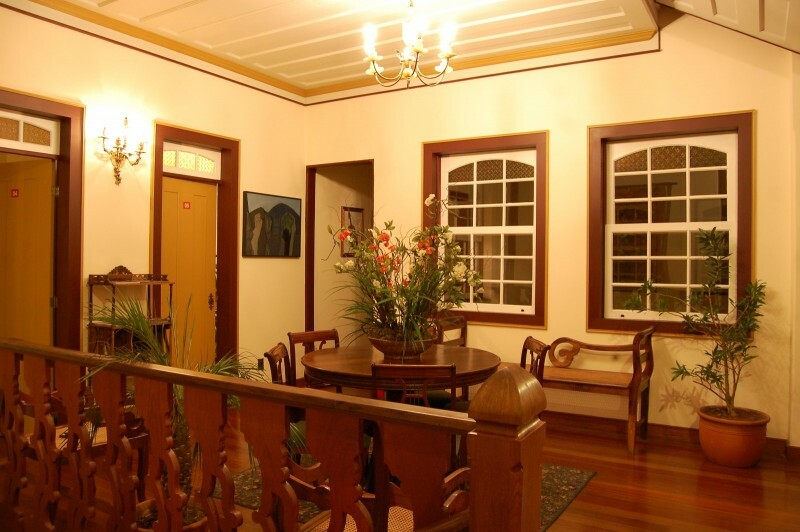 "The chalet style (the French chalet) appears in Ouro Preto architecture around 1880. Engineers of the Railroad Dom Pedro II, stimulating fashion. The inauguration of the Ouro Preto extension, leaving the trunk line in Miguel Burnier, only happens on the eve of the Republic in August 1889, with the presence of Pedro II, Empress Teresa Cristina and Princess Isabel. Meanwhile multiply the Chalets in Ouro Preto and in the cities served by the railway. The two large roof waters end in broad eaves, as if they were verandahs. The rafter run comes to end the achinesado Galbo of counterfeit of old roofs. Lambrequins arrematam the eaves, like white lace of fine favor. The windows abandon both the lintel Lisbon curve, cultivated since the second half of the eighteenth century, as the straight lintel established by the standard neoclassical nineteenth century. Adopt the warhead or the triangle with flag colored glasses on the windows in white transparent glass. There are balconies, terraces and porches, have guardrails and varied elements worked in iron. In Portugal, the cottages appear node nineteenth century and are called "Brazilian house" because they are usually erected by Portuguese returning the moneyed Brazil and can thus build according to the latest fashion. The "Almanack of Ouro Preto for the year 1890" brings on page 240, interesting ad that explains much about the construction of cottages in Belo Horizonte. Says advertising: "Great Joinery. Sculpture ornaments, carpentry, etc. - Miguel Antonio Tregellas (Black Gold Beach) - The owner of this shop, already well known for his works, among which we highlight the construction of the chapel altars of St. Francis of Paula of the capital, and it mounted the Black Gold beach with excellent machinery and trained personnel, if you think in terms of rushing any order with the honor the public trust, both the capital and out, such as: lambrequins and other cutouts for chalets, altars, work around, furnishings modern and refined taste, etc. The altars can be built in the workshop to be placed in chapels anywhere in the state, taking charge of this work some of the joinery officers, competently enabled. Reasonableness of prices, zeal and promptness. " The building also houses the Coffee Savor Restaurant, in its ancient and vast basement is large building erected Empire node on construction of the eighteenth century, whose structures are still visible. 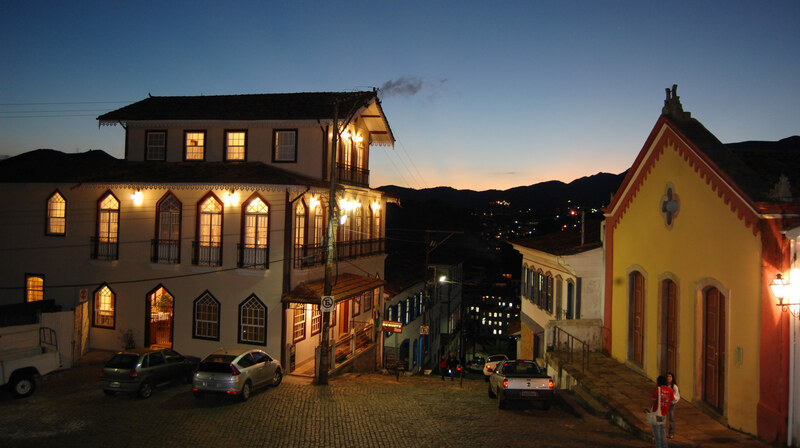 In the mansion of funds, terraces or terraces leading down to the Xavier da Veiga Street are typical of the original urbanization of Ouro Preto. The triangular lintels give special rhythm to the facades. This is building among the most significant of the period ending with the change of the capital to Belo Horizonte (12 December 1897). In 1931, the mayor João Veloso decree comes prevent "the change of & 39; & 39 facies; colonial city. In 1933, President Getúlio Vargas states Ouro Preto National Monument. In 1938, the city is listed by IPHAN, created two years earlier. UNESCO in 1980 inscribed on the World Heritage site, as well first Brazilian to become a world monument. Angelo Oswaldo de Araújo Santos is a professor at PUC - Minas, writer, journalist and curator of art. 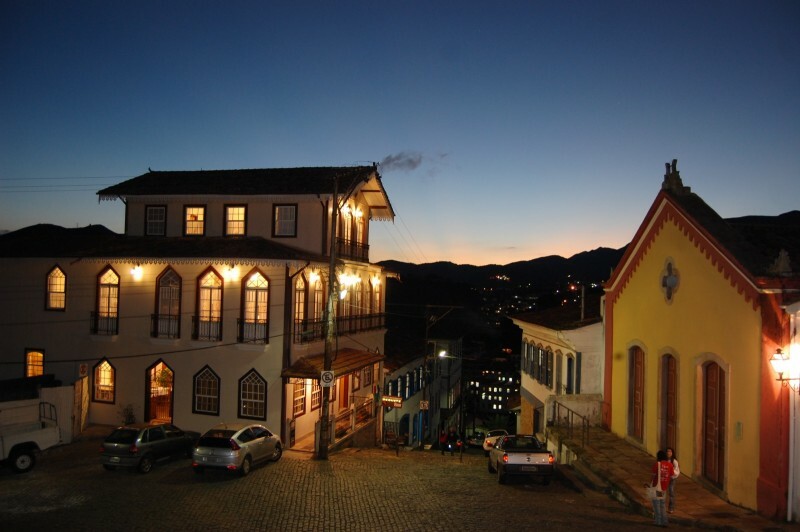 It has been the mayor of Ouro Preto, the first to be re-elected in the history of the city. With great pride, the Hotel Teatro holds with absolute exclusivity, a permanent exhibition of the works of the couple Carlos and Fani Bracher. We offer food service in partnership with TROPEA Restaurant - Cantina Warehouse , keep at the disposal of guests, the most varied, exquisite and awarded Ouro Preto menu. With award-winning creations in various food festivals, it pays to know the charm and refinement of the restaurant. Reservations are possible and bring security service, by phone: (31) 99417-0076. The restaurant is open from 18 in Cel. Alves, 15. Room Service: Service available upon request. It offers the transfer of any of the airports in Belo Horizonte to Ouro Preto and vice versa, which is a service of its own. 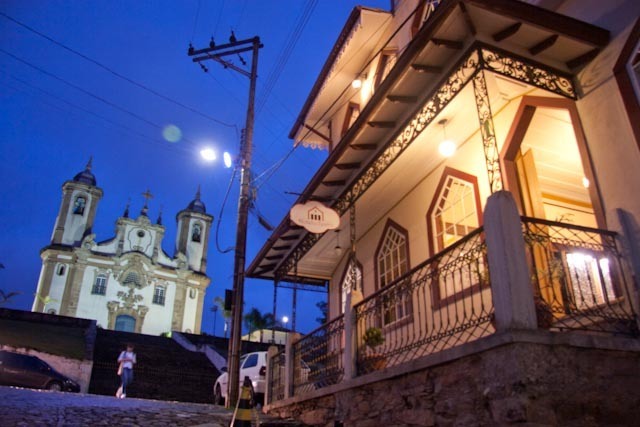 • tourist programs: Various options of cultural tours, ecological in Ouro Preto and Mariana, Ouro Preto Districts, as Lavras Novas, Santo Antonio do Leite, Cachoeira do Campo, Santa Rita, Congonhas and Tiradentes. • Tourist guides: Certified guides given in French, English, Spanish and Japanese, since combined advance. © 2018 Hotel do Teatro. All rights reserved.